Life is complicated these days we have more pressure to achieve and less time than ever to accomplish. The drive to secure a better career, a more perfect relationship, a better body, or even more friends on facebook can leave us exhausted, frustrated and wondering what it's all about? What is Included in the Soul Membership? A uniquely tailored programe that starts with a 15 minute telephone consultation. We will then create a Personal Life Insight Review identifying those areas in your life you most need guidance and support in. We then schedule with you 3 x 30 minute 1-1 telephone consultations per month. Each call will be followed up with personal e-mails to review your progress offer further guidance and set goals to help you move forward. 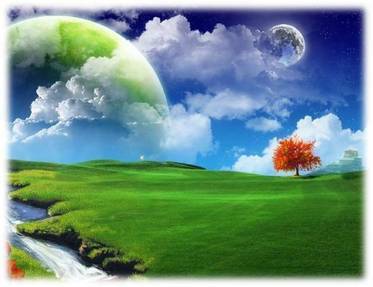 You will also receive free E-Books and be the first to receive special offers and up to date news. What will the Soul Membership do for me? 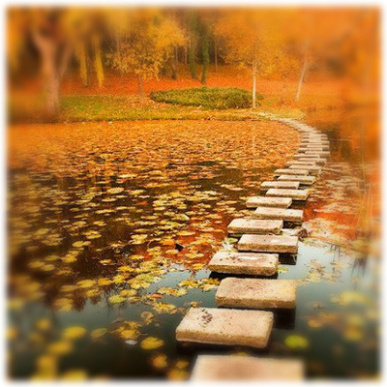 Taking the descion to address the aspects of your life that are not serving you and to have the desire and the commitment to make positive changes is the first step. 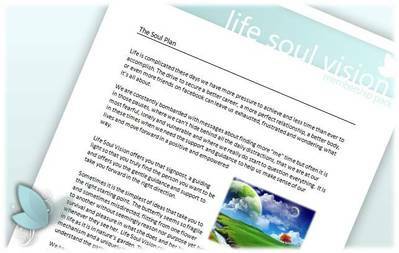 The Soul Plan from Life Soul Vision will offer you the guidance and support network to make healthy changes and we will be with you every step of the way. The program is an investment in yourself and changes can, and will take place as a result, but we also require your personal commitment to The Soul Plan so that you can get the very best from it. Each plan is uniquely tailored to your individual needs and we will continue to ensure it is meeting your objectives. To sign up for our Soul Plan visit the Gift Shop. If you are interested in The Soul Plan but would like to experience a 1-1 consultation to see how we work with you, you can purchase our individual Telephone Guidance calls also available in the Gift Shop.